ISDP forum with a panel assessing Russian hybrid tactics in Europe. 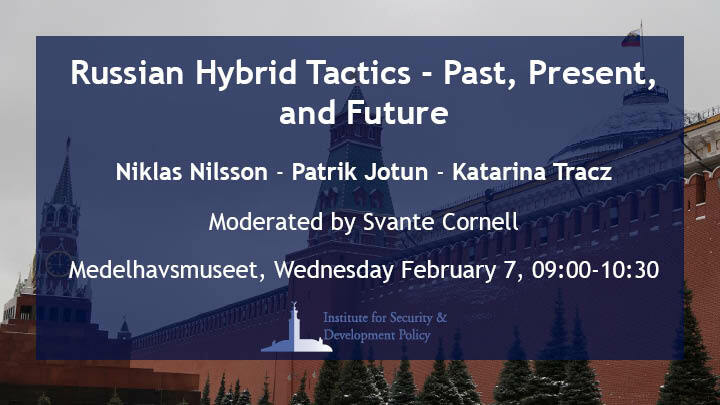 This ISDP Forum gathers a panel of three security policy experts to provide an assessment of how Russian hybrid tactics have been employed in different parts of Europe in recent years. It will explore the current status of Russian hybrid tactics and the western response, as well as a look toward potential future scenarios. 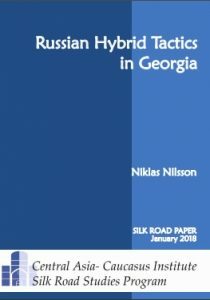 The Forum takes its basis in the release of a new ISDP Silk Road Paper, Russian Hybrid Tactics in Georgia, by Dr. Niklas Nilsson. The Forum will explore whether Russian actions in Georgia and other countries of the former Soviet Union can serve as indicators for Russian behavior elsewhere. The Forum will be moderated by Svante Cornell, Director of ISDP.